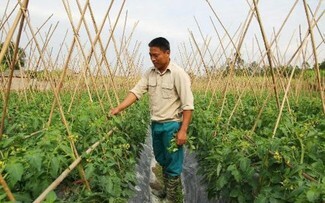 (VOVWORLD) - 42-year-old Luong Thi Hong Lan is a weather forecaster for the fishermen of Binh Son district, Quang Ngai province. Her daily forecast makes local fishermen in the central region feel better about going fishing offshore. 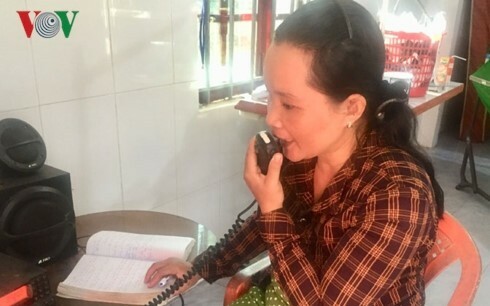 Every day at 7.30 am, 3 pm, and 7.30 pm, Ms. Luong Thi Hong Lan - affectionately called Ut Diep – switches on her communication device and informs fishermen of the weather conditions at sea. Diep doesn’t know how many fishermen she has helped since she began the job 4 years ago. Diep says her husband is a fisherman who sometimes goes fishing offshore for months, so she bought an Icom to stay in contact. In 2015, Diep took courses in meteorology in Hanoi and Ho Chi Minh City. 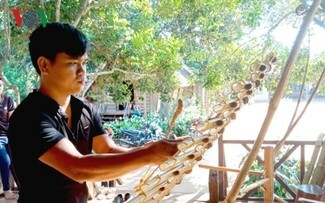 To get accurate weather information, Diep searches newspapers, radio, and the internet, analyzes the information, and communicates it to the fishermen. Diep recalls that one day, late last September, she received a phone call from a sinking fishing boat with 9 crew members in a state of panic. Diep immediately contacted rescue workers to report the boat’s location. Thanks to her help, all the fishermen were rescued. “Many fishermen turn on Icom every day to get weather news. 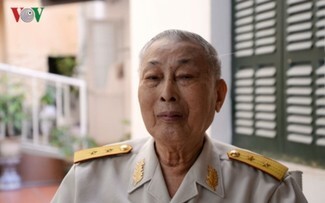 Many contact me if they have any problems at sea,” said Diep. Ms. Ho Thi Diem, whose husband fishes for squid, said they turn to Ut Diep for reliable weather news. “Diep is a very helpful person. Her knowledge of communications equipment allows her to deliver accurate weather information to fishermen,” said Diem. 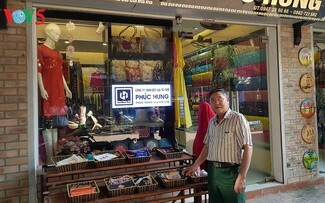 Nguyen Thanh Tin, Vice Chairman of Binh Chanh commune’s People’s Committee, says there are 2 Icom stations for rescue work but they are currently out of order due to lack of money for maintenance, so Diep has been a big help. “Because the commune’s Icom station doesn’t work, Diep bought one with her own money. Diep’s Icom receiver keeps her in contact with her husband but benefits other fishermen also,” said Tin.